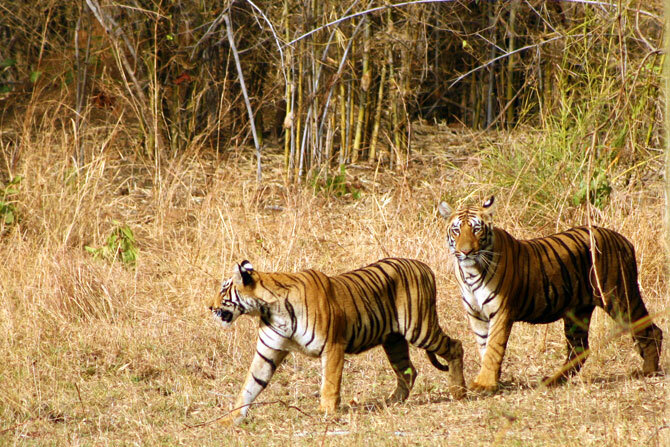 Rediff.com » News » Three cheers for India's Tigers! 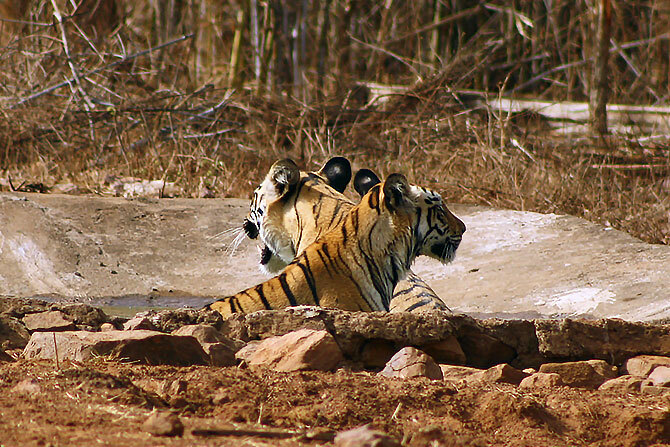 Three cheers for India's Tigers! 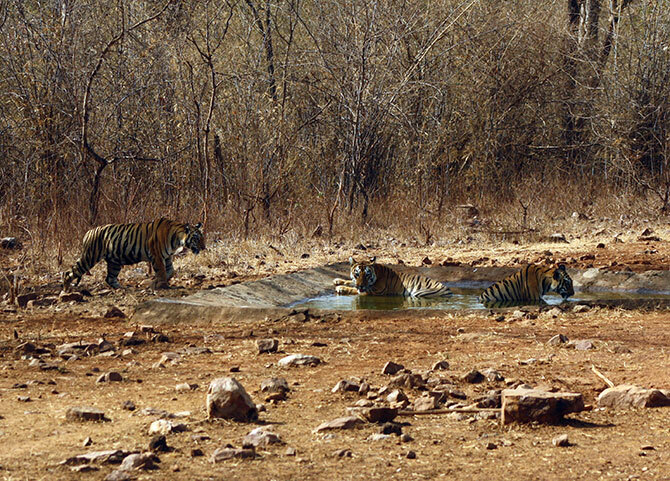 As India celebrates its growing tiger population, Sonil Dedhia/Rediff.com shares incredible moments he has spent in the proximity of tigers over the years with these amazing photographs. It is certainly cause for celebration when a country that is home to 70 per cent of the world's tiger population reports that its tiger count has gone up by more than 30 per cent in the last four years. 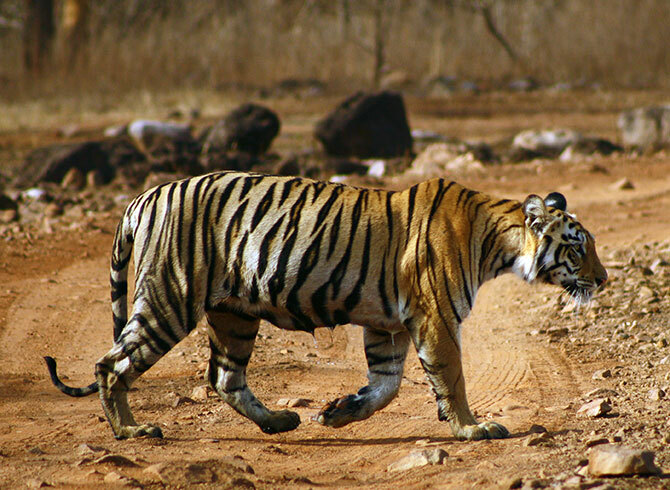 In the front line of India's conservation efforts are its 25 tiger reserves, governed by Project Tiger and administered by the National Tiger Conservation Authority. 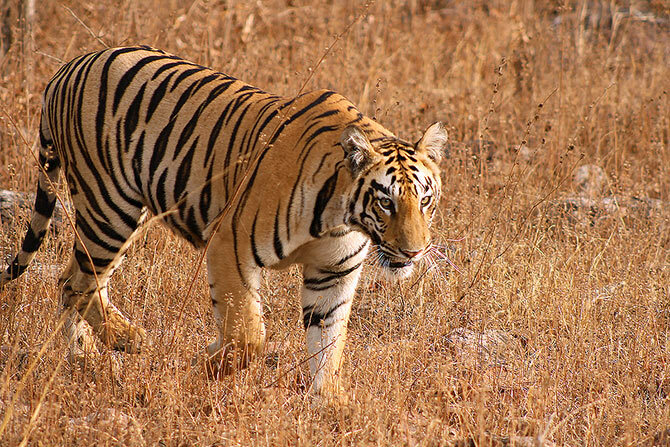 Of these, the most popular are the Ranthambore National Park (Rajasthan), Bandhavgarh National Park (Madhya Pradesh), Jim Corbett National Park (Uttrakhand), Tadoba National Park (Nagpur, Maharashtra) and the Sundarbans Tiger Reserve (West Bengal). 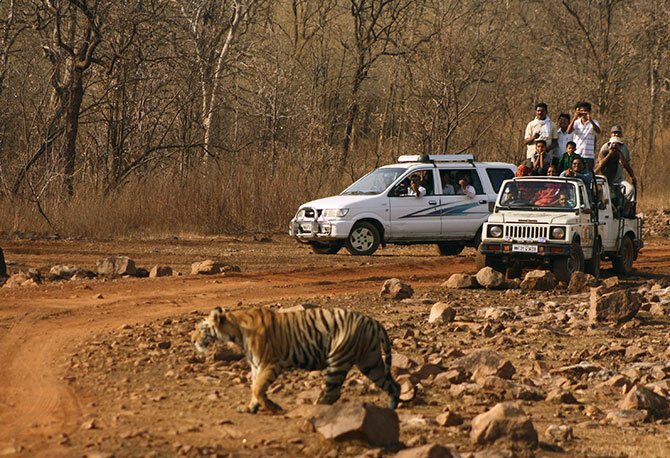 One of the best ways to spot a tiger in the wild is to go on a tiger safari. 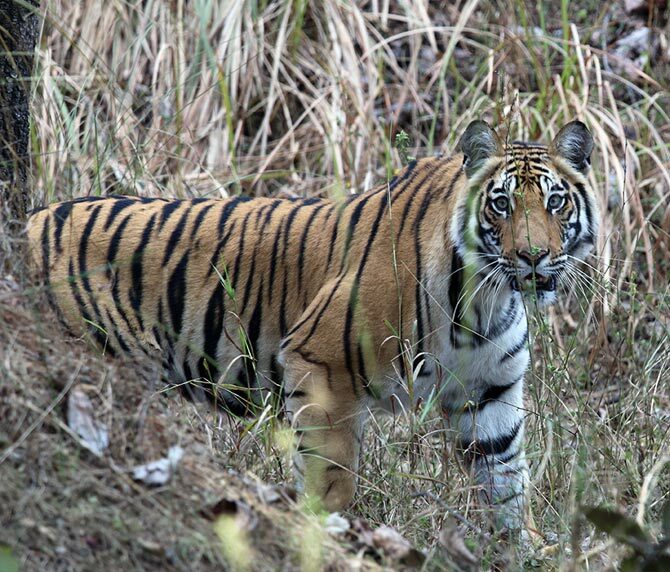 Seeing a tiger in the wild requires tremendous patience and a bit of luck. And while there are no guarantees that you might spot one during your safari, you are bound to see plenty of other wildlife. 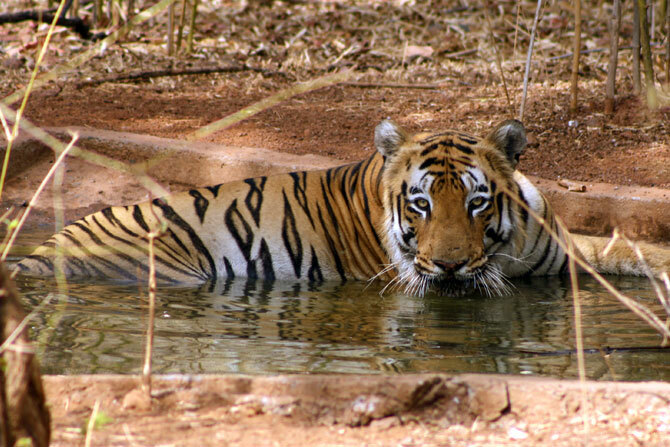 @Bandhavgarh: I am the king of all I survey. 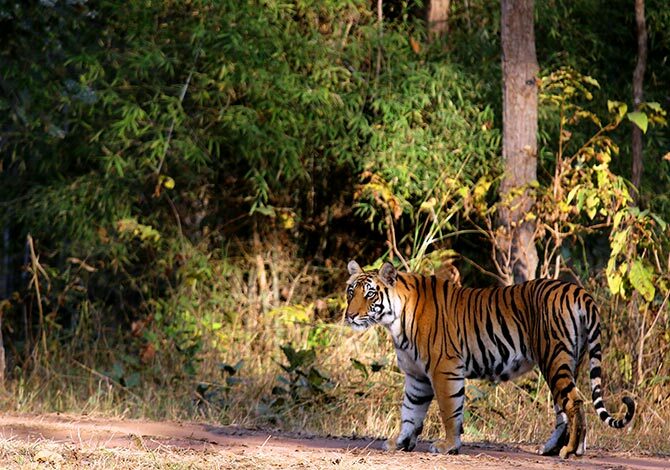 @Tadoba: Out for a stroll. 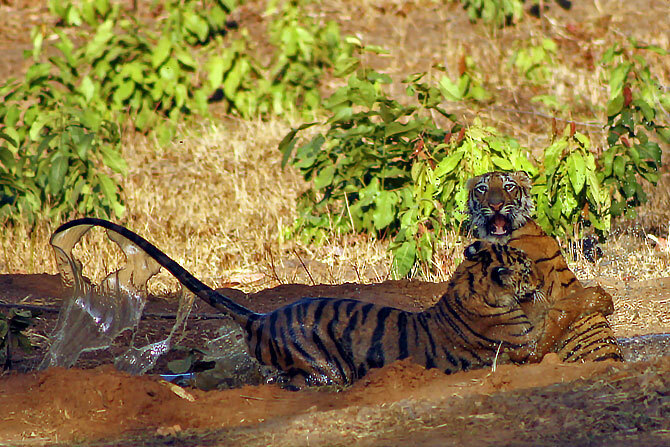 @Tadoba: It's my turn now. 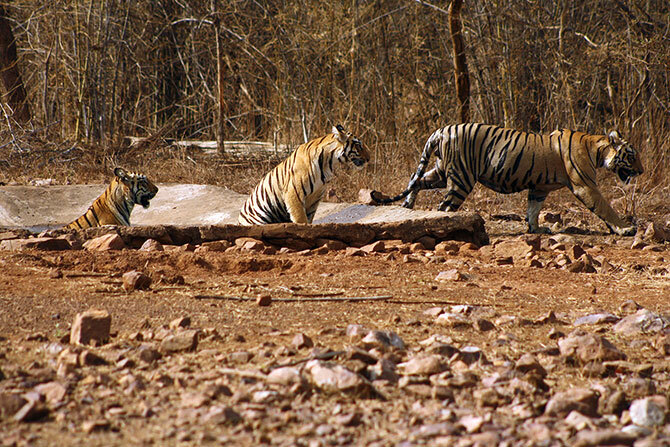 @Tadoba: Three can play too. @Tadoba: On guard, in both directions! 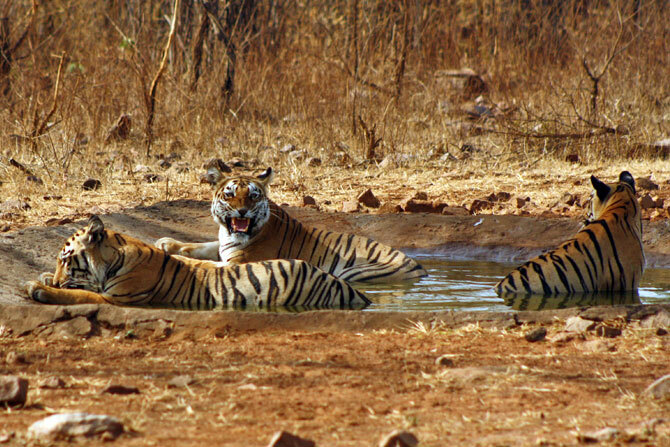 @Tadoba: One, two, three... let's go! @Tadoba: I won't disturb you. 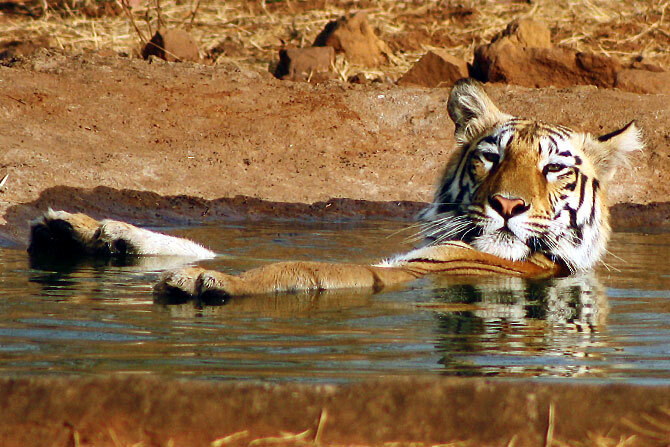 @Tadoba: Oh! Don't be scared... we're just playing. 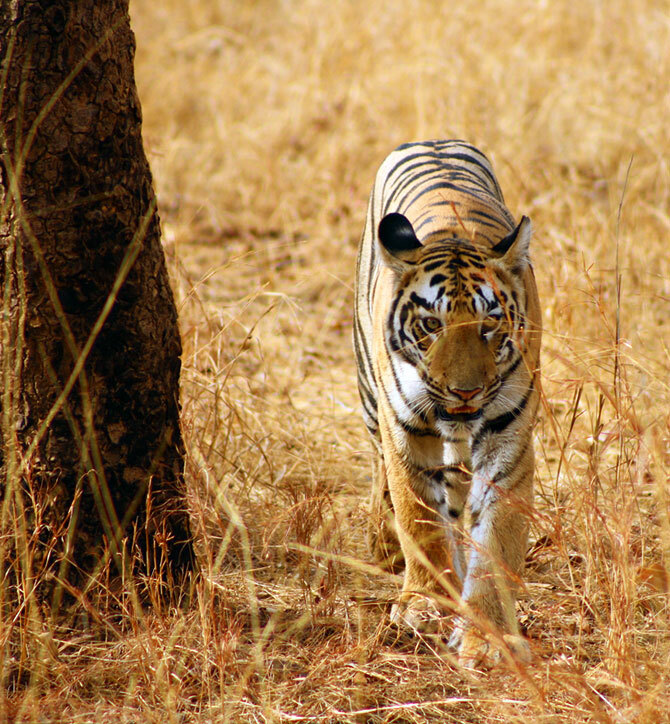 @Tadoba: Do you really want to take me on? 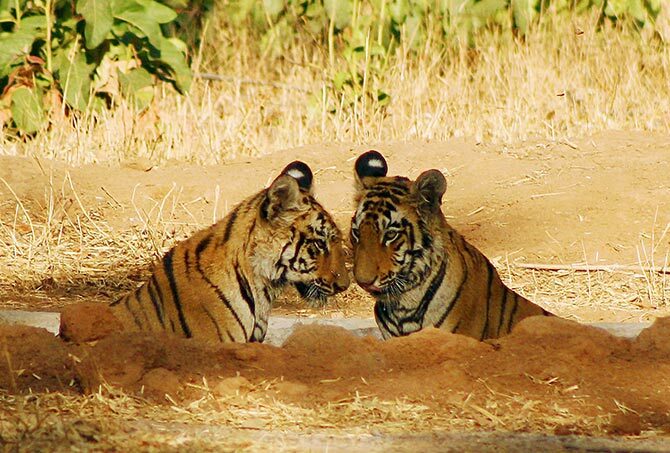 @Tadoba: We're finally seeing eye to eye. @Bandhavgarh: If you don't look carefully, you might just miss me. Celebrate India's tigers! If you have captured a tiger on your camera or phone, please post the photograph right here. Do tell where you shot the picture. 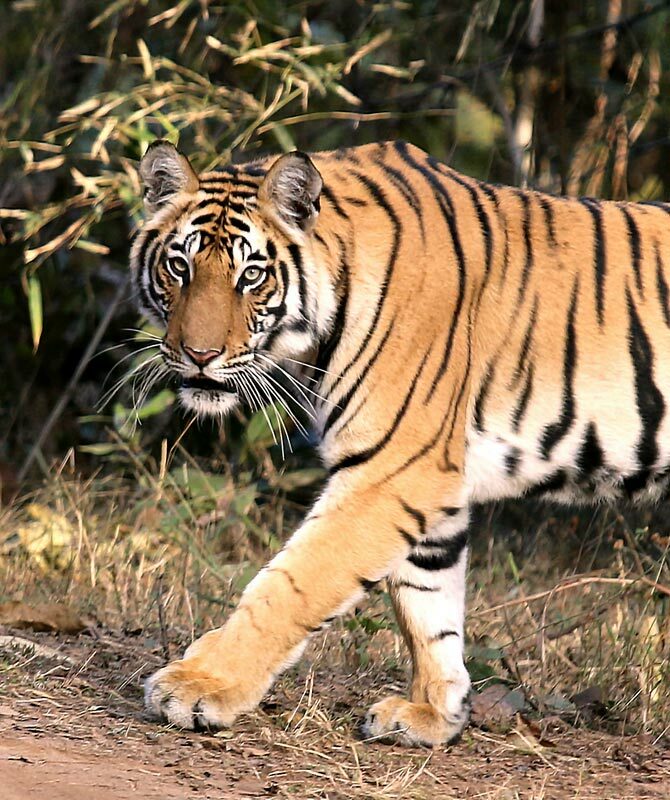 India's tiger numbers up. Salute to unsung women who helped! Priyanka, Kangna, Bipasha: Long or short? VOTE!